Explorer for ArcGIS, a new ready-to-use app, helps anyone explore data in a geographic context and use maps to help make better decisions. Discover, visualize, use, and share maps from your smartphone or tablet with Explorer for ArcGIS—whether you are a GIS professional or someone with no knowledge of GIS. Explorer joins the collection of ready-to-use apps that includes Collector and Operations Dashboard for ArcGIS. This new app is designed for people who need to explore data in a geographic context and use maps to help make better decisions. With Explorer, you can access any of your organization's maps, apps, or data hosted on ArcGIS Online or on-premises in Portal for ArcGIS. Built as a native app, Explorer has initially been released for iOS devices. A version for Android will follow in a few months, with Windows and Mac versions expected in the first quarter of 2015. Start Explorer and it signs you in to your organizational account and takes you to the home screen. In any map you open, you can not only search for places and addresses but also for features. Maps can include presentations that contain slides with live maps. Presentations can be used to brief decision makers and others. You can interact with the live maps in these presentations, zooming, panning, or sketching on them. Maps can be shared via e-mail and text message or by using platform-specific methods such as AirDrop (for iOS). Future releases of Explorer will expand functionality and take advantage of capabilities such as 3D. 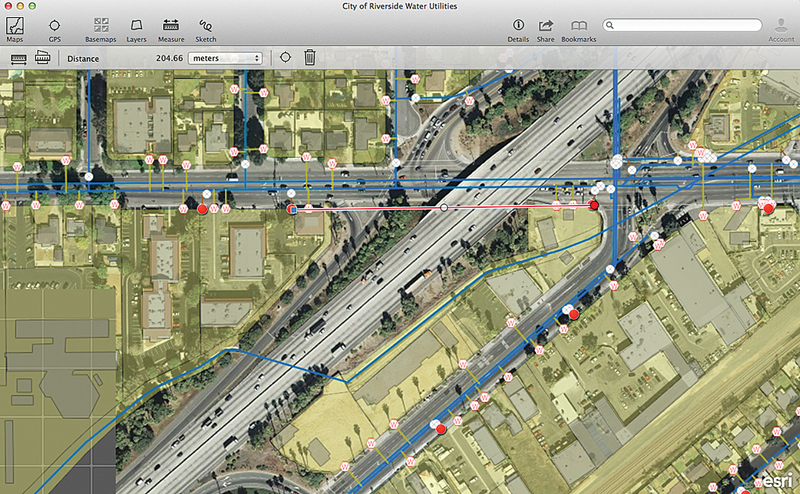 Anyone can download Explorer for ArcGIS from the Apple App Store and try the sample maps included in the app. ArcGIS Online subscribers, ArcGIS Online evaluation version users, and Portal for ArcGIS users can download the app, sign in, and begin using it to explore their organization's maps and data. For more information, visit esri.com/explorerapp.